On Wednesday, Feb. 6, the University declared an official closure day due to dangerous weather conditions. As this was a University Closure Day the following procedures should be followed for hourly staff employees. 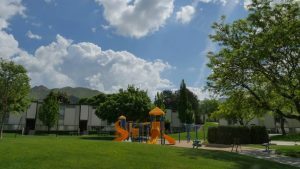 The closure will apply on Wednesday, Feb. 6, 2019, from 12 a.m. to 11:59 p.m. The payroll reporter or employee will add the UCD code, which is paid at straight time and the number of hours to match the employee’s scheduled shift. The hourly employee will report in and out times of the shift worked on the KRONOS time card. The hours worked will then automatically populate as UCW, University Closure Worked, which is paid at straight time. The payroll reporter will add manually, to that day, the UCC code with the number of hours the employee worked. This is paid at half time (.50). The payroll reporter will also add, to that day, the UCD code up to the equivalent of the scheduled shift during the closure period. There is no need to add UCD to the Salaried Employee timecard as they are paid on an annual basis. 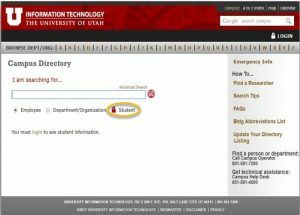 Starting Tuesday, February 12, 2019, the University of Utah online Campus Directory will require users to log in with their uNID and CIS password to view student directory information. This change is being made to implement best practices by limiting access to student information to current employees and active students. 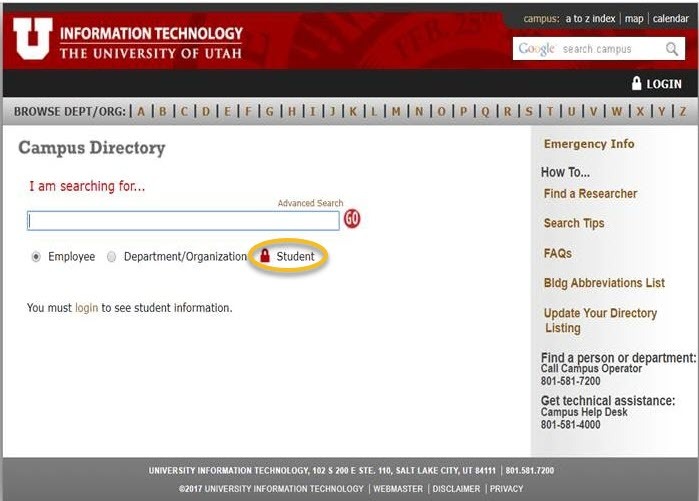 Note: As always, students who wish to restrict or remove their Campus Directory information may do so using Campus Information Services (CIS). Log into your CIS account, click on your “student profile” tile on your Student Homepage, and then click on the “Privacy Restrictions” link. 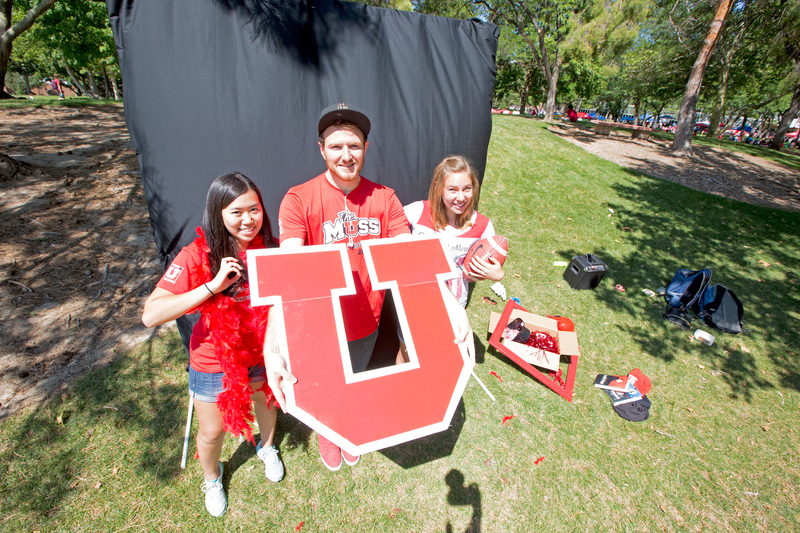 If you have any questions, please contact the Office of the Registrar at registrar@utah.edu or 801-581-5808. The next Academic Senate meeting will be Monday, March 4, at 3 p.m. in the Moot Courtroom of the College of Law. Senate meetings are open to the public. The agenda will be posted approximately one week before here. 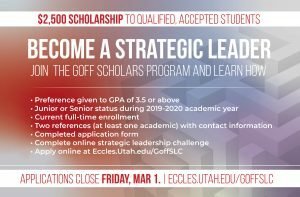 The Goff Strategic Leadership Center at the David Eccles School of Business is committed to supporting education and conducting research in strategic leadership. This stipend, essentially making it a free year-long class in strategic leadership, is only open to around 40 students across campus and all majors. 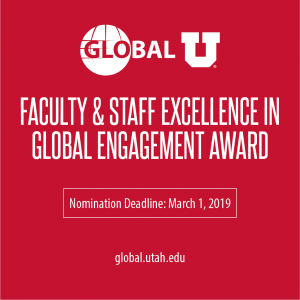 Nominate your colleagues for the Faculty & Staff Excellence in Global Engagement Award. 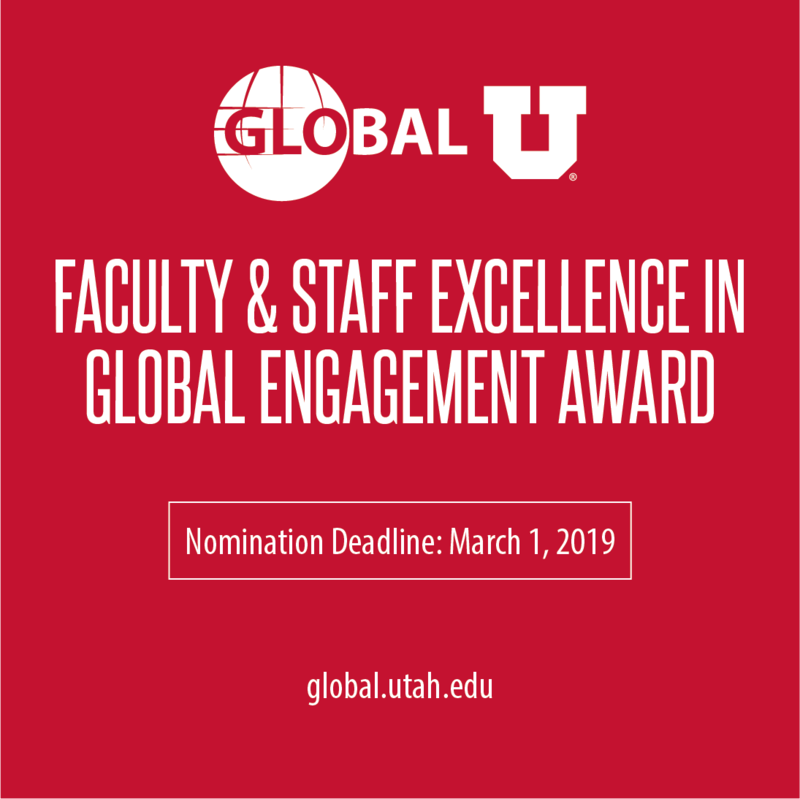 For more information and to nominate a colleague, click here (note that there are two awards available annually: one for a faculty member and one for a staff member). Awardees receive campus-wide recognition and a $1,000 prize. 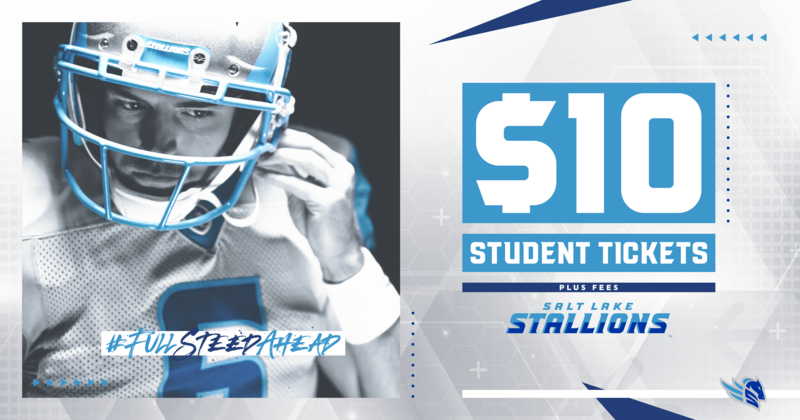 Beginning on Feb. 23, Rice-Eccles Stadium will be home to the American Alliance of Football’s Salt Lake Stallions. Composed of former players from the Utah Utes, USU Aggies and the BYU Cougars, the Salt Lake Stallions are the state’s newest professional sports team. 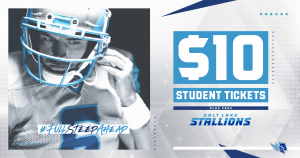 Students, faculty and staff can score $10 tickets to any one of the Stallions five home games at Rice-Eccles during the 2019 inaugural season. 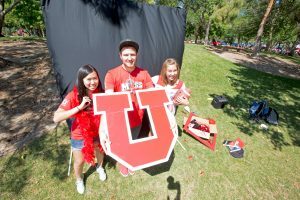 Get your discounted tickets on gameday by presenting a valid UCard to the box office or by using a utah.edu email address at smithtix.com under the student section tab (staff and faculty may use this tab as well). $10 ticket plus fees with a limit of two tickets per person. 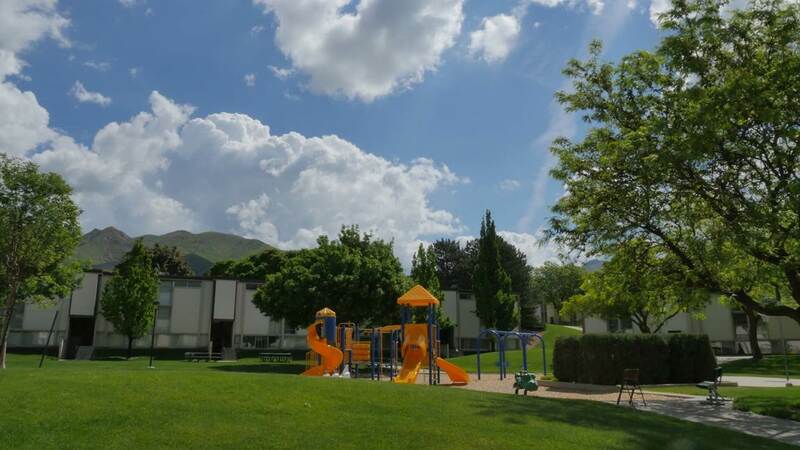 Free parking is available in the Guardsman Way lot; the west parking lot of Rice-Eccles is reserved for credential holders, operations staff and the news media. As with every event on campus, riding TRAX or using the campus shuttle system is strongly encouraged. First snap is set for 1 p.m. on Saturday, Feb. 23, against the Arizona Hot Shots. Visit the Stallions online for a complete schedule of games and information.. 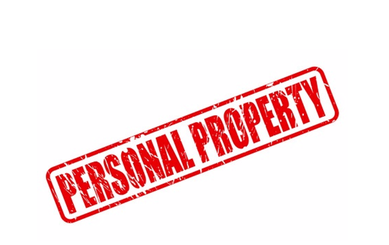 The university’s property insurance policy excludes coverage for property owned by University faculty, staff, students or visitors. Such persons’ homeowners or renters insurance policy applies on a primary basis for any loss to personal property. If you have any questions, contact University Risk & Insurance Services at extension 1-5590. The university’s seed fund, administered by the Center for Technology & Venture Commercialization (TVC), fills a funding gap in the commercialization process between provisional patent application and the licensing of a technology. The fund helps faculty inventors achieve critical commercialization milestones that are needed to attract potential licensees, entrepreneurs and investors. The previous funding cycle (Fall 2018) resulted in six awards with an average award of $30,000. The next funding cycle will be announced in the spring. If you are planning to apply, please send a brief letter of intent to your TVC technology manager, who will apprise you of the current status of your intellectual property and advise you on your potential application. 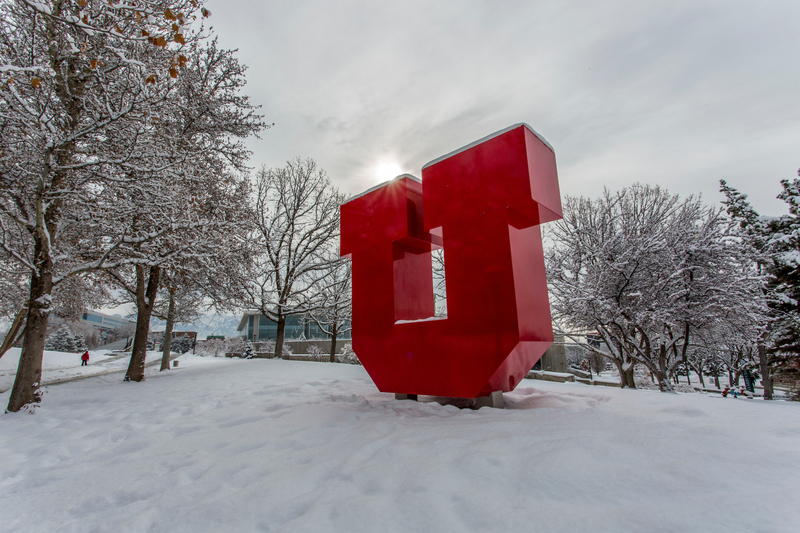 If you are not currently working with a technology manager, please contact Danuta Petelenz, Grant Manager, at 801-213-3585, who will direct you to the appropriate faculty liaison. Danuta can also answer any questions about the process. We look forward to working our faculty and staff to help advance your technologies and inventions. Contact TVC if you are intending to apply. The New Student Organization Information Sessions will provide crucial details regarding this process, such as the application, the constitution requirements, recognition benefits and university policy. It will also cover the available resources, if recognized, including support from staff in Student Leadership & Involvement and the Organization Resource Group. These sessions start promptly on their designated time. Individuals arriving more than eight minutes past the start time will not receive credit for attending. If you cannot be seated at the session within eight minutes of the start time, please select another information session. For more information about this process, please see the webpage for starting a new student organization. 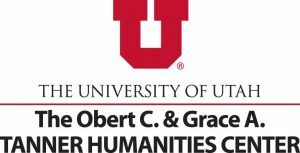 For questions or concerns, please contact the Organization Resource Group at studentorgs@utah.edu. Every year, the Alumni Association recognizes alumni and honorary alumni who have distinguished themselves professionally, served local and national communities, and supported the U in its missions. 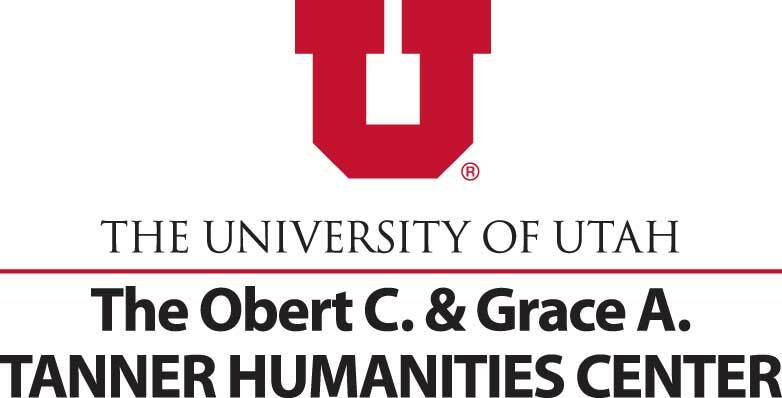 The annual distinguished and honorary alumni awards, along with honorary degrees, are among the highest honors awarded by the University of Utah. The banquet is a wonderful way to celebrate and show support for individuals who have raised the profile of the university through their accomplishments and generosity. Colleges and departments can purchase tables or individual tickets. Reserve a table today have your staff treat your alums and/or donors to a night of meeting new friends, building camaraderie and reconnecting with old friends by celebrating the 2019 distinguished and honorary alumni award recipients. Make your reservation by Friday, Feb. 15, 2019.